Primary purpose will be for long glassing sessions, but it will also be hauled in quite a ways as well. What does everyone use for glassing? It's too bad they discontinued the Chair One as it's roughly the same weight as the REI and was more sturdy and about an inch wider. I personally use the camp chair as I am tall and it's worth the extra pound for me. I don't have a Chair Zero but I have a Chair One and one of the REI chairs (the older one where the legs/base were the same as the Chair One). The Chair One is lighter by a few ounces if I recall. Other than that, I think they are about the same. I've sat in the Chair Zero at a store and did think it was a bit smaller and a bit lower to the ground. It also seemed like it dipped in the front a little which changed the way you sat in it. I've debated the Chair Zero for its weight savings but I don't know that I'd like it as much. All that said, I scored an Alite Mayfly (I think is the name) on a deep discount at REI last year. Its like the Helinox Ground Chair. I almost like those chairs more as they don't sink into the ground and are lighter by nature since they have fewer metal parts. My biggest thing is that even with the "taller" Chair One or the REI chair, I still almost have to crawl in and out of it (old joints and fat belly mods) so it's just as much to get in and out of the ground chairs. Plus, the ground chairs fit easier into shelters if you have to ride out some weather. Picked up a couple of the Helinox Ground Chairs last year. I think they are awesome, and I'm 6'3". Works great for glassing off a tripod or resting bino's on top of a trekking pole. These chairs are around 16 oz. The base doesn't sink at all. 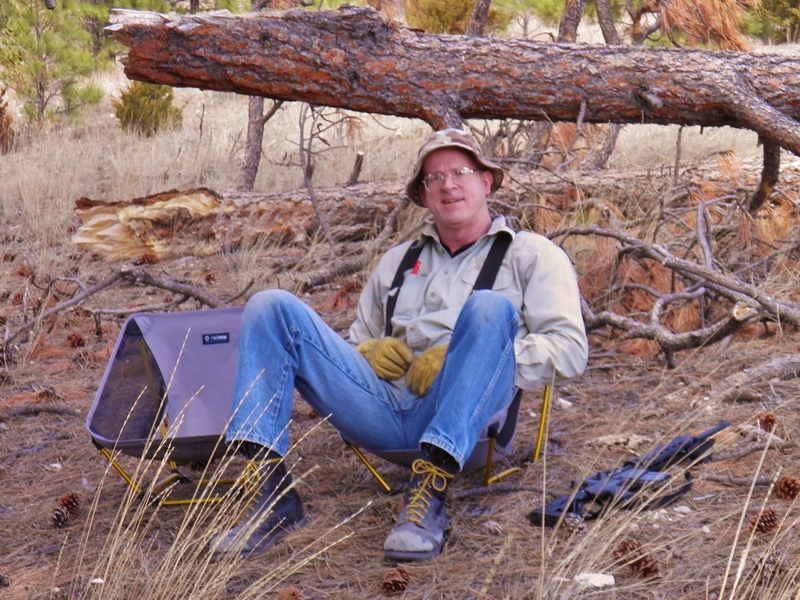 The talk about wind blowing the chair away reminded me of the time when the wind blew mine into the fire when I was 20-25 yards away at my tent. By the time I ran over there it took a good 5 sec or so (I'm not exactly the fastest guy, but I did hurdle some logs to get over there). I was surprised to find only a minor singe in the mesh that was less damage than the spark holes I already had in the chair. The Camp Chair is far worth the extra weight for the additional height for me at least. However a minor sacrifice is the bar across the back does make it slightly less comfortable to sit in. I have a chair one and zero, I'll have the zero in my pack over the one as it is ok but at 17oz drops enough weight to justify it. I don't mind the zero at all. I run that a-lite Mantis chair the "survived" in that video. It's low, so getting in and out with stiff legs is a chore, but once you are in it, it's really comfy. In fact, I slept in it with a quilt around me one time when I couldn't find the hole to patch in my pad. But it's low and lays back a bit. 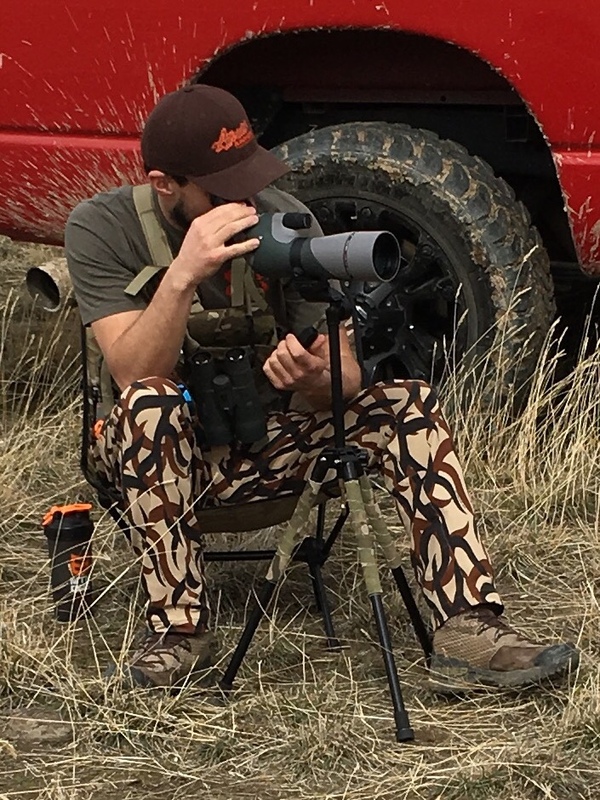 If glassing, I would definitely grab the flex lite, my buddy runs one and loves it. Girlfriend and I picked up a pair of the REI Flexlite last year on sale for about $40 each, proved to be very comfortable and a favorite part of our backpacking kit. If I was in the market again, I'd by one of these, pictures look identical to the Flexlite, but you can get one for less than $30. We have two of those Amazon knockoffs and have yet to break one. I can't believe how cheap they've gotten in the last year. Depends on the trip but I have the Helinox for camo and it works great. If it's just a short trip or I know I will be moving a lot, I will also take my Crazy Creek folding chair...its nothing fancy, but it's a good chair for the weight and easy to set up quickly. FYI........ I tried to save some weight last year and bought the helinox one mini. It seemed really sturdy in the store, but it broke the first glassing session. I'm 175lbs. What are the amazon knockoffs called? Haha, that is a kids chair and probably designed for 125lbs or something. I almost did the same thing but am glad I didn't. I was at an REI yesterday and sat on all these chairs. While I don't have a strong opinion on the Helinox vs REI brands, I can say my several year old Helinox original is still perfect and has never let me down. I took a good long sit in the Helinox Swivel Chair and was completely impressed with it. 100% as stable as my current chair and the swivel works flawlessly. I'm seriously considering it. Not sure if they are the knock noffs....but Amazon has a brand called Trek Ultra, the chair is 2.6lbs and sells for $60. My dog loves my Helinox. Doesn't really advance this conversation. Just funny to look at. It never really occurred to me that I would be competing against my dog for use of the Helinox. Am I the only one who can't see attached pictures?